Bears. I don't know why but I cannot stop drawing them. Perhaps because I call the little one "Lucy Bear". Perhaps because bears are just so dang cuddly. 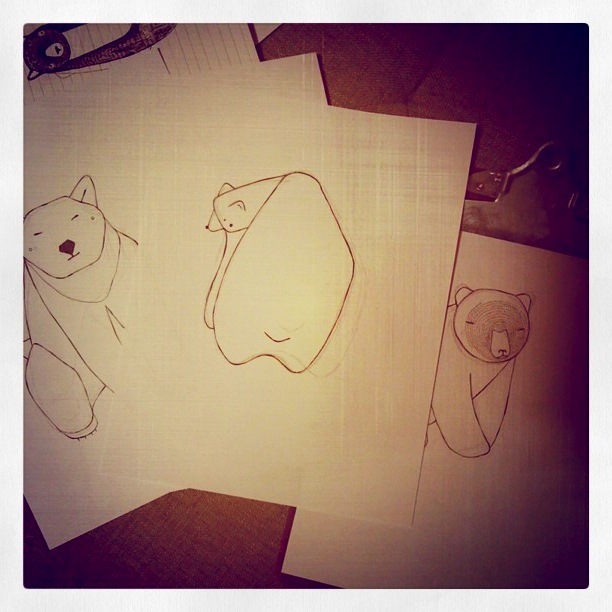 Here's a little preview of some bear doodles I have done today. Thinking that the 2013 calendar might be all about bears. Also, I always do a 4x6 desk calendar, but thinking of also offering a larger calendar! What say you to that idea? What animals/things/objects would you like to see in the Gingiber Shop this year?